Wilson Daily Times, 16 September 1910. In 1900 census, Wilson, Wilson County: blacksmith Charley Battle, 50, a widower; son Charley, 10; and Menerver Edwards, 58, a hired washwoman. As detailed here, Charles Battle’s son Charles Tecumseh Battle became a prominent teacher of manual trades in Oklahoma, Mississippi and Alabama. However, his presence in Stantonsburg in the 1910 census and his biography suggest that his father was visiting a different son in Alabama when he passed away. Was it the Nicholas R. Battle, 56, farmer, born in North Carolina, listed in the 1920 census of Chandler township, Lincoln County, Oklahoma, with Mississippi-born wife Dora J., 58, and Oklahoma-born son Henry N. Battle, 12? 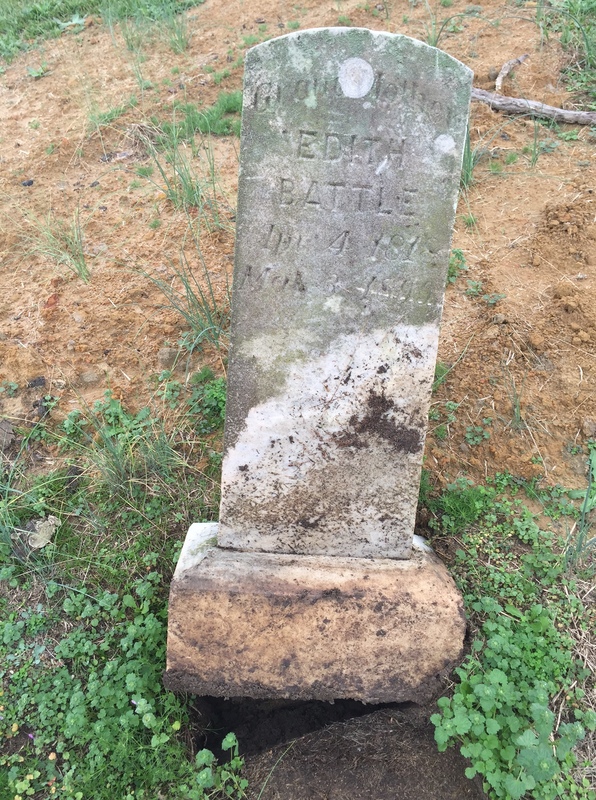 Charles Battle was buried in the Masonic cemetery on Lane Street, Wilson, beside his wife Leah and mother Edith. 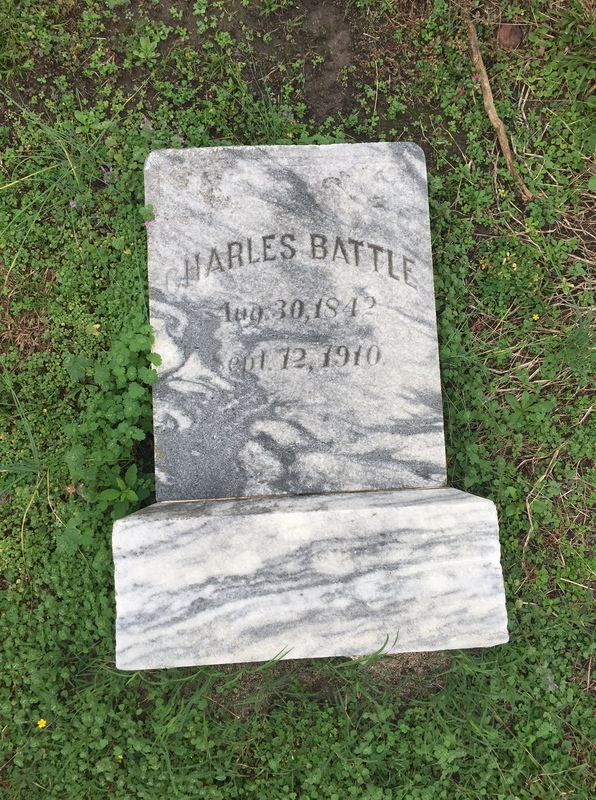 Charles Battle, 30 August 1841-12 September 1910. 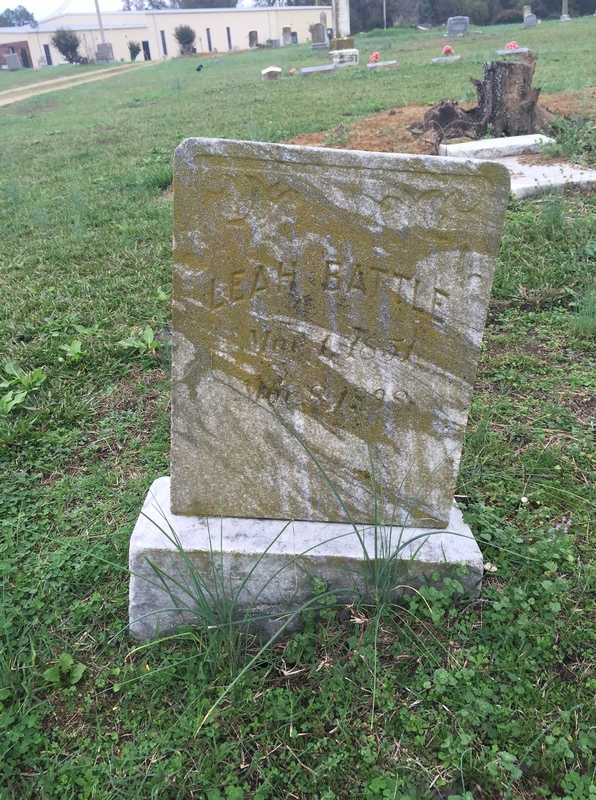 Leah Battle, 1 March 1851-8 March 1898. Grandmother Edith Battle, 4 April 1818-3 March 1899. ← Colored girls and musicians.